Too many articles about Casino-Cheating written by people who have no clue what they're writing about. Take this one, for example. It's an article written by Chris Smith, who claims he "likes to write about tech and gadgets," but clearly has no idea what he's talking about outside the tech and gadgets when it comes to casino surveillance and security. I'm sure that Mr. Smith knows all the ins and outs of high-tech cameras and digital equipment, even that which is used by casinos to protect themselves against cheaters (some of whom have their own high-tech and gadgets), but he, like many other high-tech writers, should not be writing these articles because they give a false sense of security by omission. In Mr. Smith's article, titled "Technologies casinos use to catch cheaters," he talks about "5 of the most used technologies that casinos use to catch unwanted cheaters." He goes on to give a short description of how each technology operates, and he is accurate to a tee. But the article falls flat on its paper because the writer exudes the greatness of the technologies and makes references to things like the movie "Ocean's Eleven" to state his certainty that it is almost impossible to cheat casinos today, let alone rob one like they do in "Ocean's Eleven" and other movies. Well, first of all, I guess Mr. Smith does not read many articles about casino robberies these days. Despite all the technologies, casinos are being robbed at an all-time high. Not nearly a day goes by without some kind of major casino robbery occurring in the United States, and lots of them are violent. But I will let that ignorance on the part of Mr. Smith go because it is excusable. But what is not excusable is that he fails to mention the one thing that nullifies a great deal of that technology when it's used by casinos...THE PEOPLE, CHRIS...THE PEOPLE WHO NEED TO OPERATE AND INTERPRET THAT TECHNOLOGY AND ACT ON IT!!! The digital surveillance equipment is only going to show the cheating. It's not going to explain it. Maybe Chris never read about me. I, for one, beat all that technology in casinos because I knew that if I were able to beat the people responsible for interpreting the data, all that technology would only help me cheat the casinos...Chris, if you're reading, I'm talking about my infamous Savannah roulette cheat-move. And that move didn't even need the set-ups and psychology that I and other skilled cheats use (used in my case) to nullify that technology in many cases. Look, I don't want to sound haughty here, but what pisses me off is that people reading these articles are led to falsely believe that casino-cheating is declining because of high-tech casino defense systems. 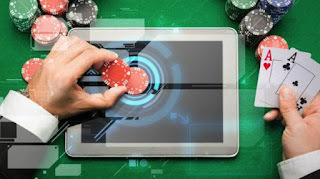 Of course the technology helps, but don't let any of these one-track writers let you believe that casinos are getting cheated and robbed less than they used to. The amount of cheats may be less but the amount they cheat for is a heckuva lot more! And this is especially important for those of you who work hard in surveillance and know that the people play a much bigger part than the technology...if your casino is running the way it should be and has good people doing their jobs.